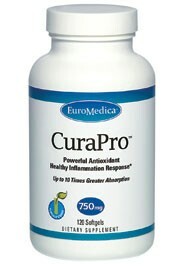 EuroMedica® specializes in developing unique formulas containing clinically tested, safe and effective ingredients. 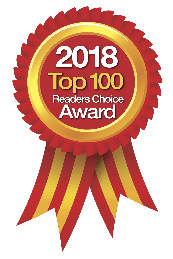 EuroMedica is best known for Curaphen® Professional Pain Formula and CurePro® products, both containing the clinically studied BCM-95® Curcumin (from Tumeric). Free samples are available to chiropractors while supplies last. Contact them at 866-842-7256 to set up an account. Fish oil has long been the standard for delivery of Omega-3 fatty acids, which are bound to triglycerides. However, Nutrition Business Journal reports that krill oil sales are dramatically increasing and outpacing fish oil in percentage of growth, due to the fact that the Omega-3 fatty acids are attached to superior delivery phospholipids — not triglycerides. They clearly document the emergence of phospholipids versus triglycerides as a superior carrier of DHA and EPA (important Omega-3 fatty acids) because of better absorption. According to EuroPharma's founder and president, Terry Lemerond, "Vectorization is important for many reasons. First, all the salmon used are food-grade, sustainably harvested in clean, deep water fjords of Norway and Scotland. These are fish that are meant to be eaten, and aren't "junk fish" like many used in oils. 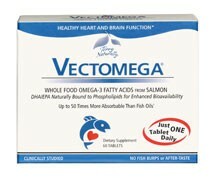 Secondly, because of the gentle nature of the Vectorization process, the EPA and DHA remain bioidentical to those found in the human brain, and third, because the Omega-3 fatty acids are bound to phospholipids rather than triglycerides, they are up to 50 times better absorbed than the Omega-3 fatty acids in fish oil." Bones use calcium for a variety of activities, including bone building. However, for optimal health, calcium must be kept in balance to promote smooth, healthy bones. One way of doing that is with the right acidifying ingredients, like those found in the latest supplement from EuroPharma®, Acid-A-Med™. Acid-A-Med provides a targeted approach to pH balance that assists bone in ridding itself of unwanted waste material. It includes special forms of calcium and magnesium plus acidifying ingredients that help the bones function properly. It combines these key minerals with bioavailable vitamin B6 (in the best form, P-5-P), plus betaine HCl, vitamin C, and ammonium chloride for proper acid (pH) balance effects that promote healthy bone interfaces with surrounding soft tissue. Acid-A-Med is formulated to support a smooth connection between bones, ligaments, muscles and nerves, but not unhealthy mineral metabolism and unwanted calcium waste material. 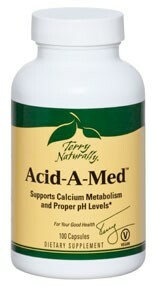 Acid-A-Med is a natural, safe approach to healthy pH and mineral metabolism. One well-known and validated method for determining the antioxidant abilities of natural compounds is Oxygen Radical Absorbance Capacity (ORAC), or the ability to neutralize free radicals. Third-party-testing has revealed that BCM-95® high absorption curcumin has an ORAC value of over 1,500,000 per 100 grams. For comparison, raw cranberries are 9584 per 100 grams, raw blueberries are 6552 and turmeric spice is 159,277. EuroPharma, Inc. offers clinically-proven and effective nutritional supplements and natural medicines that help improve the health, and is the exclusive distributor of BCM-95 curcumin and BosPure® boswellia products in the U.S.
EuroPharma, Inc.® is now distributing the Sea-licious™ brand of omega-3 fatty acid supplements. Sea-licious was developed and launched by noted registered dietician, author, and omega-3 expert Karlene Karst. A unique liquid fish oil complex, Sea-licious has no fish flavor and is protected with Asta-Guard™ Astaxanthin to preserve freshness and taste. Sea-licious has received the 5-Star rating from the International Fish Oil Standards organization (IFOS) for purity, potency, and freshness. It is formulated with sunflower lecithin phospholipids for better absorption, and is available in three flavors: Tropical Colada, Raspberry Lemonade, and Tangerine Lime. "We are pleased to be offering Sea-licious in the United States for the first time," states EuroPharma president and founder, Terry Lemerond, "We have been searching for an effective and great tasting fish oil for children. And Sea-licious gives us the opportunity to fulfill this crucial need in our industry to support brain development in children. The brain continues to develop in children into adulthood until approximately 25 years of age." This combination of EPA and DHA from fish oil, with Asta-Guard Astaxanthin and sunflower phospholipids, is really unique. It delivers 1325 mg of omega-3 fatty acids per teaspoon and dosing recommendations are 1/2 to 1 teaspoon daily.